20 centuries ago in one of the newly conquered lands bounded by the Danube River, the legendary Roman military commander, Tiberius, recognized the untapped agricultural potential of its fertile valleys and plains. After having subdued the Celtic and Ligurian tribes who were loosely allied in the kingdom of Noricum, he set about establishing a legionary encampment that would grow into a large and prosperous regional capital, Carnuntum. Apart from mining the ore-rich mountains, which provided high-grade steel weaponry to the empire, the settlements other success was in developing farming estates in nearby territories that eventually included Kamptal (Kamp River Valley). To fulfil a social philosophy that deemed wine to be a daily necessity for all classes of its society, from slave through noble, these ‘provincial Romans’ introduced terraced vineyards as an agricultural innovation. The technology allowed growers to exploit the underused portions of the sloped terrain; expanding the cultivation of indigenous grapes such as the one they termed Veltin; resulting in a significant boost of harvest yields and the local wine supply. In the modern age, this corner of central Europe has become known as Niederösterreich (Lower Austria), and one of the distinctive wines that Austrian vintners have become uniquely expert at is called Grüner Veltliner! 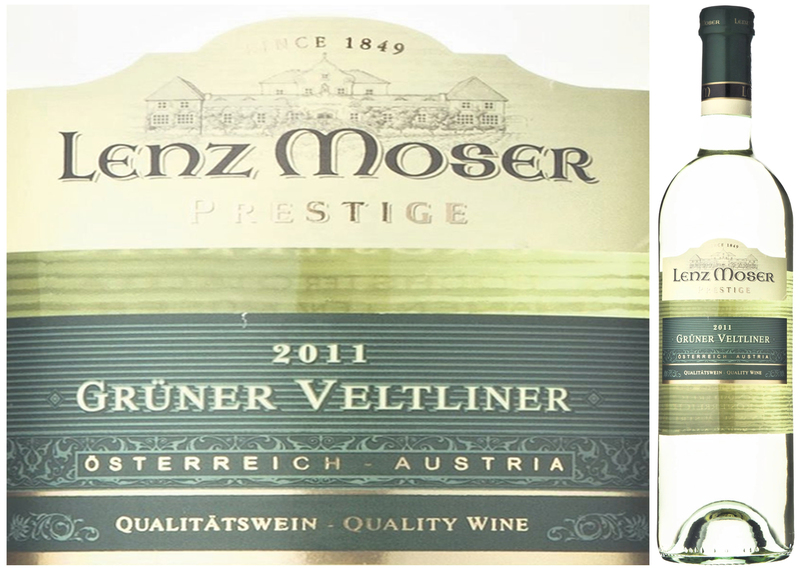 Primarily grown in Austria, Grüner Veltliner (Grew-ner Velt-leen-er) is a flagship white wine variety making up nearly a third of all plantings, with spillover into the neighbouring Czech Republic, Hungary and Slovakia. As a hardy and prolific vine, its suitability to these terroirs is tied to the rich löss (wind-blown soils) that have built up in the geography of ancient volcanic calderas; settling over top of crushed stone beds that provide drainage for mildew-free growing conditions. 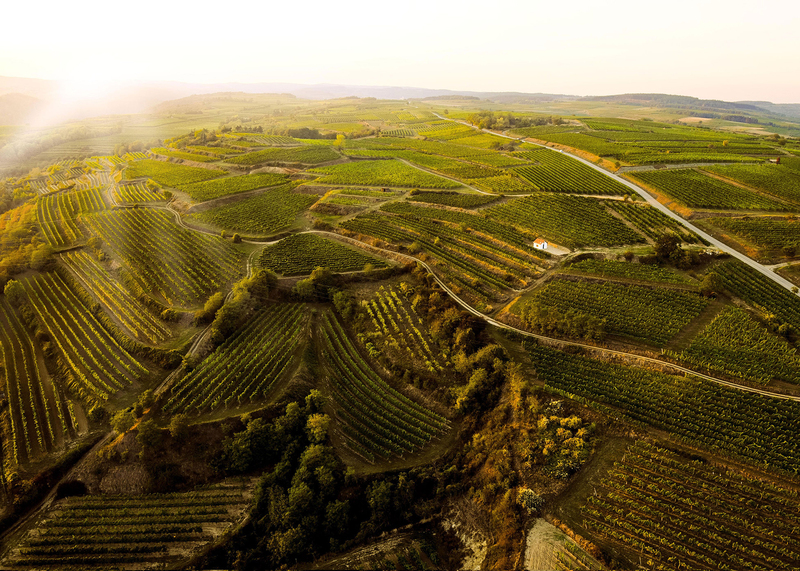 As of 2009, Austria’s wine laws have evolved to include DAC designations for both Veltliner and Riesling wines in order to clearly distinguish between the regional sources of the grapes and to promote higher quality levels. Additionally, the bottling is graded and priced according to either a ‘Classic’ finishing style of 12.5% abv (with no wood influence) or ‘Reserve’ at 13.5%abv (with some integrated wood allowable). 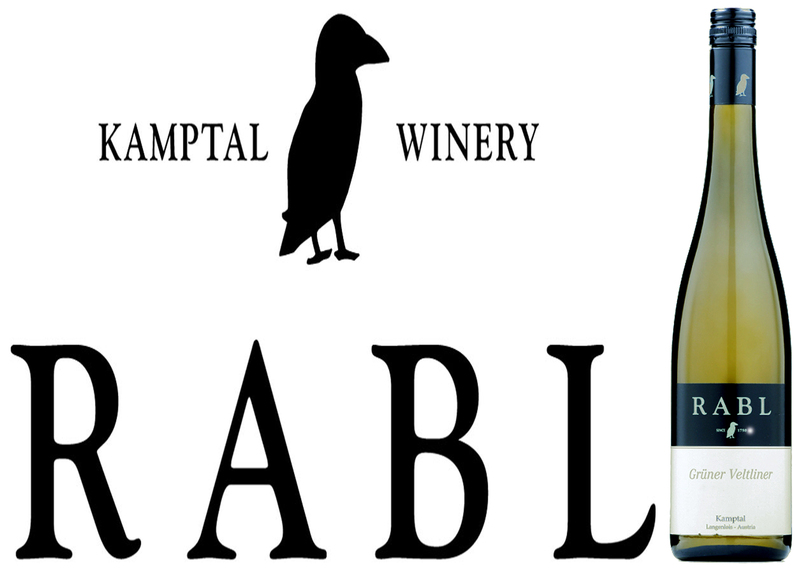 As with this week’s DéClassé recommended Rabl Grüner Veltliner Langenlois 2015, the ‘Classic’ version is somewhat lighter-bodied, unoaked and largely intended to be enjoyed as a fresh, zingy young wine that blooms with food pairing – and it does! 70km north-west of the capital, Vienna, the designated Kamptal DAC wine zone is centred around the Baroque-esq town of Langenlois. Surrounded by forested mountains and ringed by vineyards, this idyllic setting has been home to Weingut Rudolph Rabl for 265 years and counting. In the mid-18th century, 20 hectares of the estate’s land tracts began as a traditional farm with mixed crops and livestock. After adding grapevines, the business remained confined to selling bulk wine in barrel to local innkeepers – up until the early 20th century. In 1986, Rudolf Rabl Junior was enlisted into the family business and progressively entrusted with his father’s passion; ultimately allowing the winery to expand to 80 hectares and bloom into one of the largest estates in the valley. 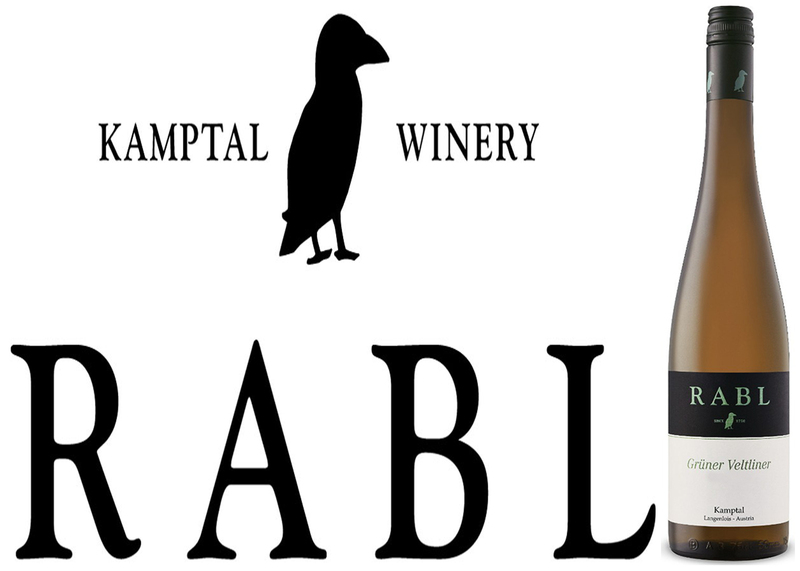 The distinctive icon of a green Raven depicted on Rabl (‘little Raven’) labels marks their line of well-crafted, entry-level wines; consistently offered at an exceptionally modest price-point. All in all, it’s taken some time for North American markets to embrace white wine styles other than the enduring stars such as Chardonnay, Sauvignon Blanc, Pinot Grigio and Soave. So, in the spirit of more deeply exploring the horizon of your established tastes, add this varietal wine to your DéClassé recommended list of alternate, characterful dry whites: Sylvaner, Picpoul de Pinet, Tsinandali, Gavi, Pecorino, and Vinho Verde. Consider buying half a case while being reminded that Grüner Veltliner offers the promise of longevity in the bottle; making it a worthy candidate for some short-term cellaring, over the next 2 – 5 years. This is a bright and elegant wine with flavour notes of apple, lemon balm and lime, delicate pepper spice, loads of ripe acidity and an intriguing minerality through the remarkably long finish. As apéritif, serve with Prosciutto crostini, smoked fish, or with mains of veal schnitzel, grilled asparagus and white-sauced artichoke. these ‘provincial Romans’ introduced terraced vineyards as agricultural innovation. at is called Grüner Veltliner. enjoyed as a fresh, zingy young wine that blooms with food pairing–and so it does! labels represents their line of well-crafted, entry-level wines being offered at an exceptionally attractive price-point. making it a worthy candidate for some short-term cellaring–over the next 2-5yrs. fish, or with mains of veal schnitzel, grilled asparagus and white sauced artichoke. an innovative vine training method called high-trellising. One of the most important grape varieties grown in Austria, making up approx. and St. Georgen grapes and requires rigorous pruning and yield regulation so as to maintain its distinct character. It thrives in the deep ‘loess’ (loose, wind-deposited sediment) soils found here in Niederösterreich (lower Austria). price-point – dare to give it a well-chilled whirl and be pleasantly surprised! By: Lenz Moser Gesselschaft M.B.H. variety of saltier charcuterie and cheese.